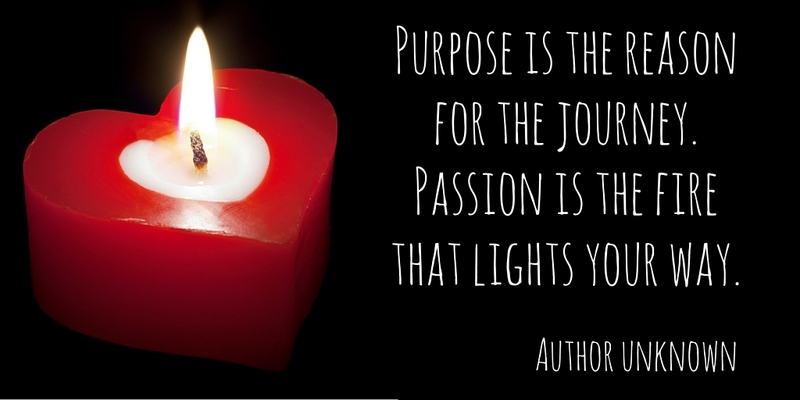 Life journeys flamed by passion and purpose have always been at the heart of my work. 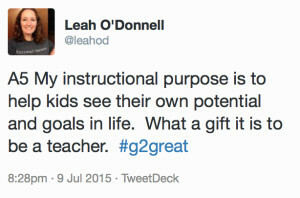 On August 29, 2012 I embarked on a purposeful and passionate journey with the publication of my book, Good to Great Teaching: Focusing on the Literacy Work that Matters (Heinemann). 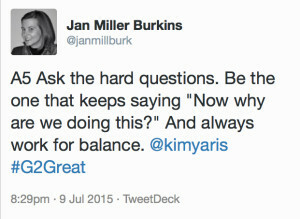 In late 2014, the sheer magnitude of that event began to unfold when Amy Brennan and Jenn Hayhurst invited me to join a weekly Twitter chat in celebration of my book. 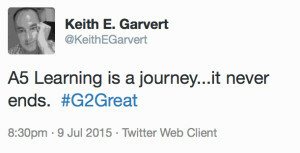 On January 8, 2015 #G2Great was born – and my passion and purpose was reignited beyond measure! 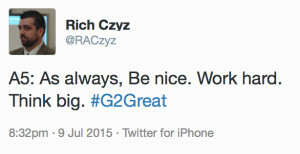 Exactly one year later, #G2Great and my friendship with Amy & Jenn has grown stronger. 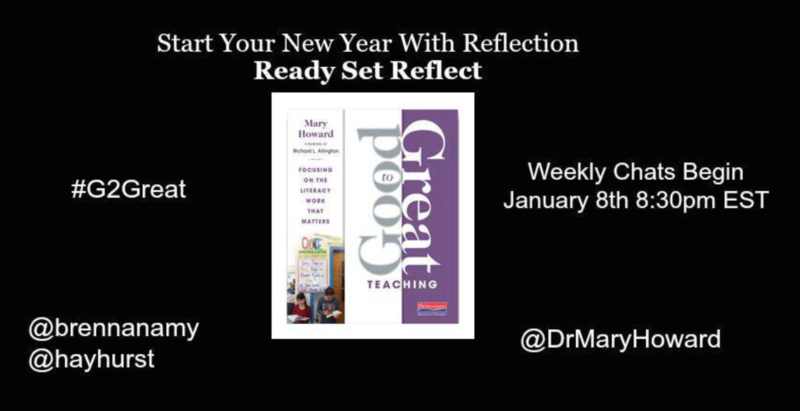 Every Thursday at 8:30 EST, dedicated educators across the country enthusiastically share their joys, dreams, and ponderings that come full circle to the question posed in my book, “How do we move from good to great teaching by focusing on the literacy work that matters? 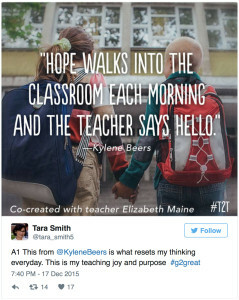 Our #G2Great chat is a weekly dose of inspiration that transformed my personal journey into a collaborative exploration of unexpected twists and turns…and I am forever changed! 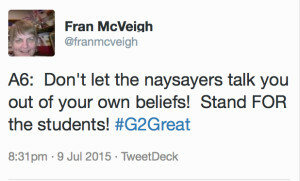 Over the past fifty-two weeks, #G2Great has remained true to the very spirit that ignited this shared learning venture one year ago. Our first anniversary seems like a fitting time to launch our blog, Literacy Lenses, a natural progression along a celebratory pathway we have traveled alongside passionate educators who work tirelessly to enrich the learning lives of students. 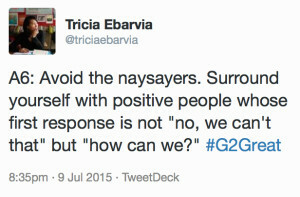 Never underestimate the role you play, secure in the knowledge that you matter; to each other, our schools, our communities, and most of all our children and the direction education can and must take us on their behalf in the future.